to come up with a design for a portable sports ground. Not everyone likes to go to the gym and pay money to rub elbows with other weight training enthusiasts. It’s much better to go outside in the summer, take a walk to a park and partake in the favorite sporting activity there. 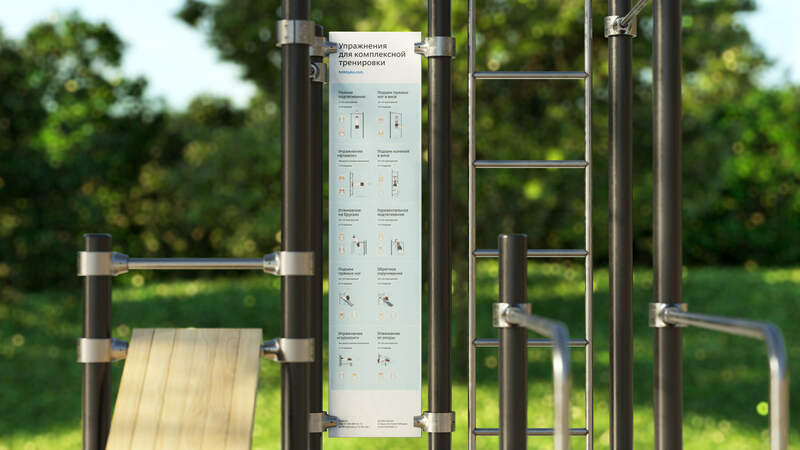 Especially if the park is equipped with a new exercise system. Especially if it’s the system designed at the studio. The modular sports ground can be easily moved between locations in a regular van or truck. The structure is built from metal pipes and wood-polymer composite boards—materials that were chosen for their light weight. 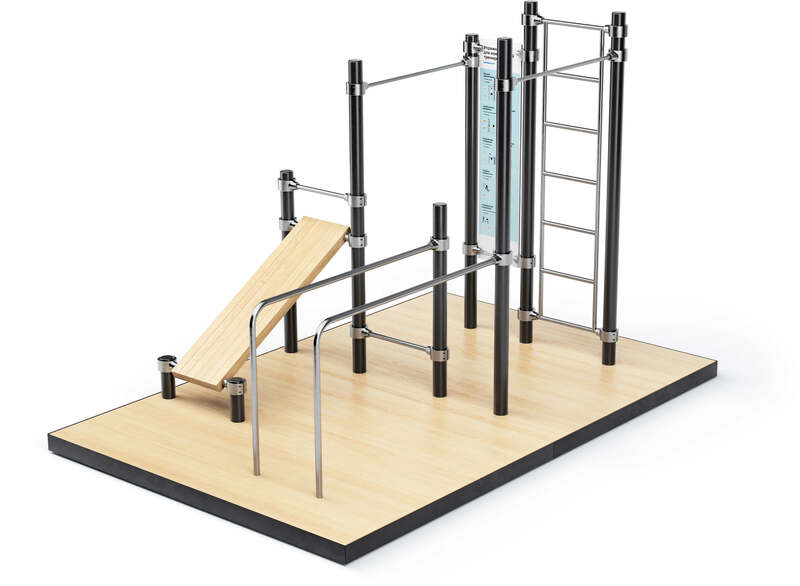 The appearance of the complex allows to make exercise not just useful, but also aesthetically pleasing. A crunch bench, pull up bars, dip bars and a ladder are all that’s necessary to strengthen core muscles. Those not yet experienced in using the equipment can turn to a beautifully illustrated guide. The sports ground can be quickly assembled at any location and doesn’t require any prior preparation of the area. And if there’s enough space, nothing prevents placing several grounds together. 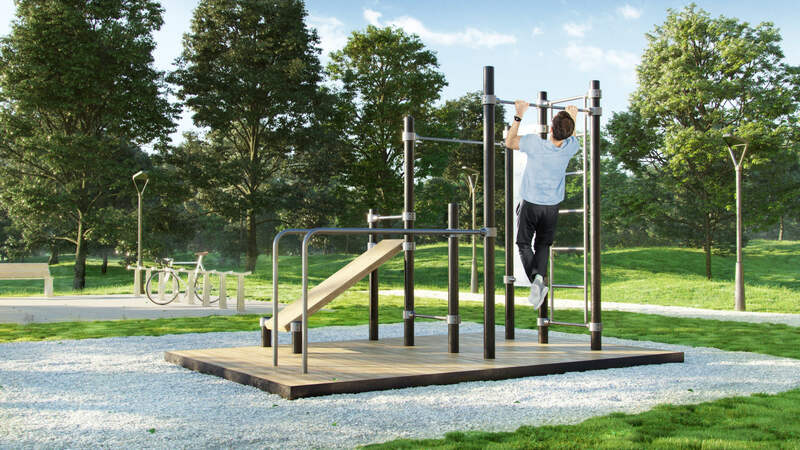 Sports grounds can be brought in and placed in the chosen area brining joy to street athletes, fans of trendy workout and calisthenics whose numbers are growing by the day. They don’t need special equipment as they rely on body weight in their training. 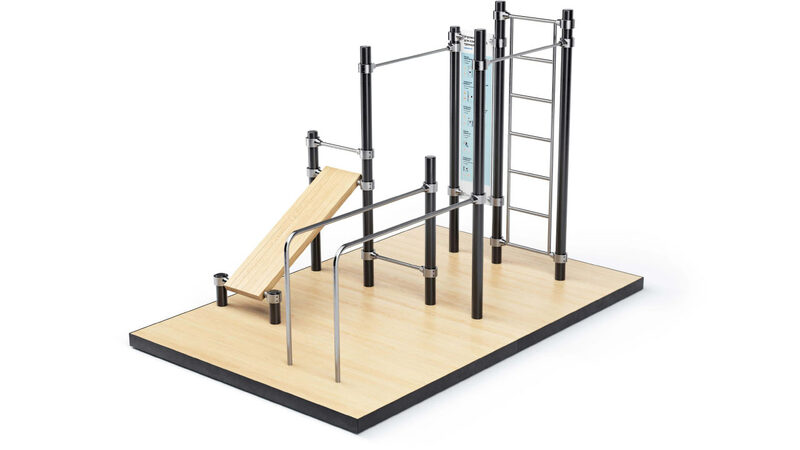 Ploschadkus is designed to make sure all basic movements are easy to perform.